Meet Kyr Konstantin Ryabitsev (pronounced Keer), the newest member of the Fuzzy Mitten family. He was born on March 6, after only 34 weeks, so we spent a while in the hospital. But he is fine now, and we're settling in at home. I'll write more when I've not got a sleeping baby in my other arm. Posted by Barbara Prime at 11:12 a.m.
Congratulations! He's beautiful. Hope you are both doing well. 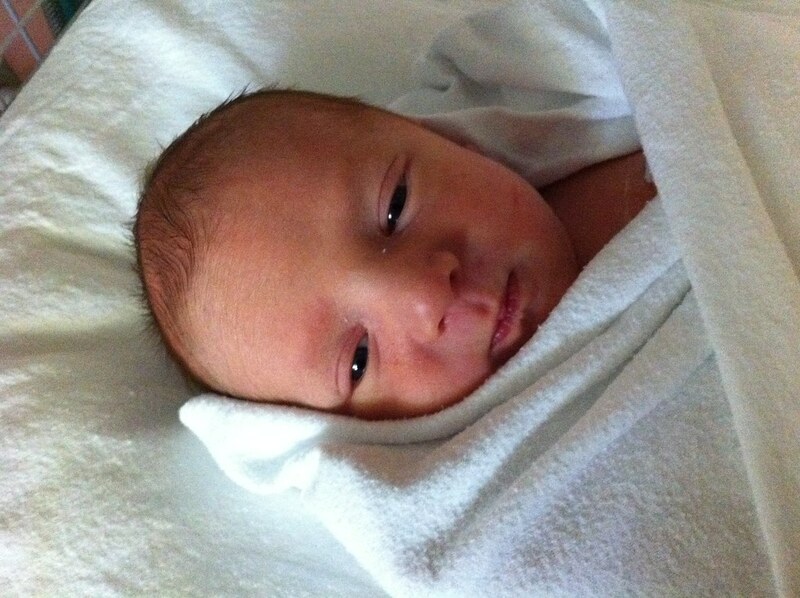 March 30, 2011 at 11:33 a.m.
What a handsome young man, and born on my birthday as well. Congratulations, Barbara! March 30, 2011 at 11:41 a.m. He makes my hormones hurt. SO CUTE. Congrats, you done good! March 30, 2011 at 11:43 a.m.
March 30, 2011 at 11:58 a.m.
Congratulations! God bless you all!! March 30, 2011 at 12:30 p.m.
March 30, 2011 at 1:19 p.m.
welcome Kyr, and congrats to you all! March 30, 2011 at 2:59 p.m. Welcome Kyr! Congratulations on the new bundle of joy! March 30, 2011 at 4:09 p.m.
LOVE the name! So precious. March 30, 2011 at 4:16 p.m.
Aww Congratulations!!!! He is very very Handsome!! March 30, 2011 at 6:52 p.m.
March 30, 2011 at 9:17 p.m. He's beautiful Barbara - many, many congratulations! March 31, 2011 at 4:01 a.m.
Congratulations, so pleased welcome Kyr. March 31, 2011 at 11:01 a.m.
March 31, 2011 at 11:56 a.m.
Congratulations to all of you! Welcome, Kyr! March 31, 2011 at 9:04 p.m.
April 1, 2011 at 3:46 a.m.
Did I never add congratulations? Well, I thought them, at least five times. What a miracle. What a blessing. Such sweetness as we seldom get in this life. I can smell him now, that new baby smell. YAY! JOY!! April 4, 2011 at 12:07 a.m.
Obviously, I'm WAY behind reading blogs. Congratulations on baby Kyr. He's a darling boy! April 11, 2011 at 11:35 a.m.